For use with Paslode IM350+ 81043 . Supplied with one fuel cell. CE compliant. 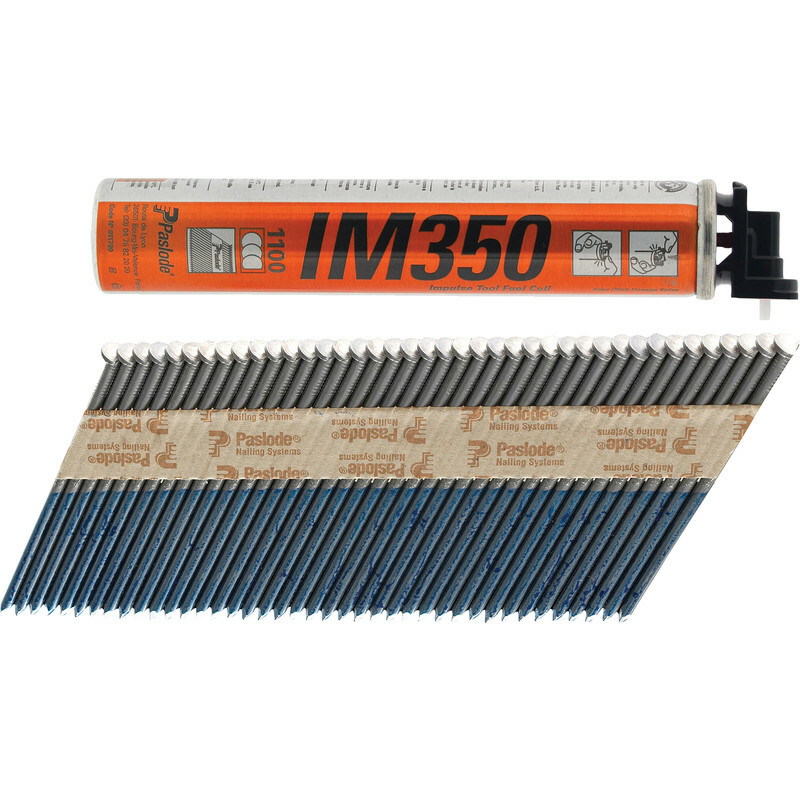 Paslode IM350+ Handy Nail Pack & Fuel Cell 3.1 x 90mm HD Galv Smooth (1100 Pack) is rated 1.0 out of 5 by 1. Rated 1 out of 5 by Neil1965 from Problems Purchased 1box paslode nail arrived home and opened box their was a 350i fuel cell in the 350 box and was obvious box tampered with I had to return wrong fuel cell which was 50 mile round trip.